Can you do literary translation of a classic novel with Google Translate? Home→Blog→Miscellaneous→Is literary translation of a classic novel possible with the help of Google Translate? There is no case that would be an appropriate solution to have literary translation of a classic novel by means of automatic translation via translation with tools of the Internet, in this case with the help of Google Translate. The translations of Google Translate usually repeat standard formulations of words or sentences, and sometimes do not fit the translation of the meaning and essence of the true source text. Some say that the translator is full of mistakes, but mistakes can be made by translators in manual translation too, even when it comes to literary translation of a classic novel. The biggest handicap of machine translation in the translation of the classic novel is that it cannot convey personality, nature or timetable of the narrator, for example: a woman of the late 15th century (the year is 1450), marooned in Asunción, Paraguay, and in his own, echoing internal voice, existing in expectation of … something. This tool is not great for literary translation or translation of stories of a past time with a different style and very sensual words. This could cause elusive words, by ambiguous linguistic meaning, and not to mention our linguistic beauty would be lost completely. As we grow technical and technologically progress in many spheres of contemporary modern society, literary translation has experienced a renaissance change, especially in English-speaking countries. Undoubtedly, Google Translate has contributed to this region of English literature, and has played an important role in its expansion. Many people still enter phrases in Google Translate, and surprising is that translation of phrases are not changed. On the contrary, the translation remains the same, with same literal meaning over and over again regardless of when and searchable same phrase. As a matter of truth Google Translate remains the best and most sophisticated machine translation tool in ease of use, but is not recommended for use in more serious projects like translation for immigration. 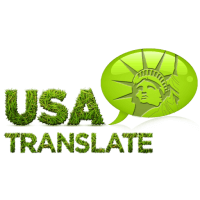 Companies often cannot rely on this type of translation, because they cannot in any way, through Google Translate reach local phrases and dialects through translation of Google Translate. Also you cannot rely on translation via Google Translate if you need a translation of documents from a technical and medical character because of the specificity of expression in these areas. The results of translation via Google Translate often lose their sense and in some cases may become arrogant and nasty, but unfortunately if you do not speak the target language there is no way you can see it in your translated content. 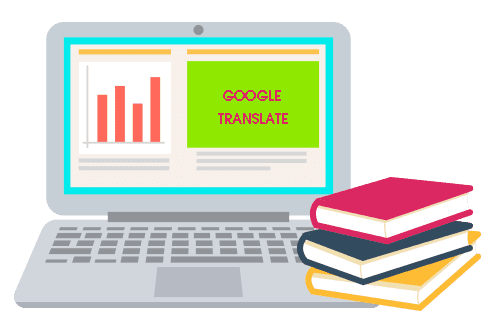 Google Translate is a useful tool for quick translation and understanding of the content, but only for a certain group of commonly used languages ​​like English, German, French or Spanish. With less popular languages ​​such as Basque or Marathi example, the translation is completely useless and pointless. Another handicap in machine translation through some of the tools for online translation, in this case Google Translate, is that they usually do not offer the possibility of quality control. Sole control would receive if the translation obtained through Google Translate is checked by a certified translator, but he certainly will charge you for this control. Although this tool is completely free to use, do not forget how much the impact of its erroneous interpretation or translation in a different sense than the original can cost.